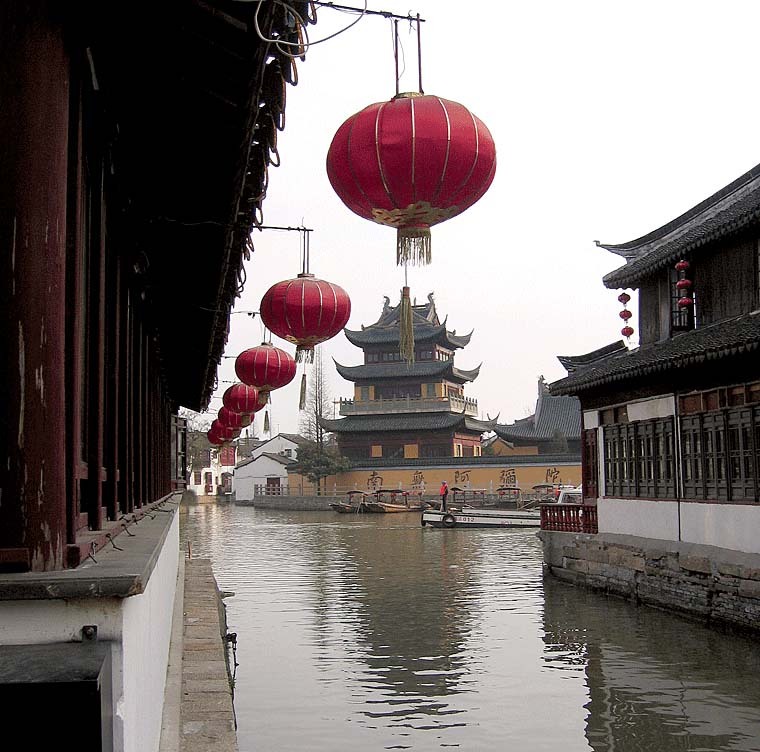 Zhujiajiao, located in the suburbs of Shanghai, Zhujiajiao is well preserved ancient water town enjoying a history of more than 1700 years. Endowed with another elegant name - 'Pearl Stream' - the little town is the best-preserved among the four ancient towns in Shanghai. Unique old bridges across bubbling streams, small rivers shaded by willow trees, and houses with courtyards attached all transport people who have been living amidst the bustle and hustle of the modern big city to a brand-new world full of antiquity, leisure and tranquillity.